Casey Dyson, a resident of King's Contrivance in Columbia, has been selling and delivering homemade cookies on her scooter for over a year. Starting in June of 2012, she regularly serves McGill's Common pool, Columbia Gateway Drive, The Lakefront, Huntington Pool, Hopewell Mini WaterPark and the HCC Medical Campus, among other locations. "I try to stay away from places that have snack bars," she said. "I am not trying to steal their business." 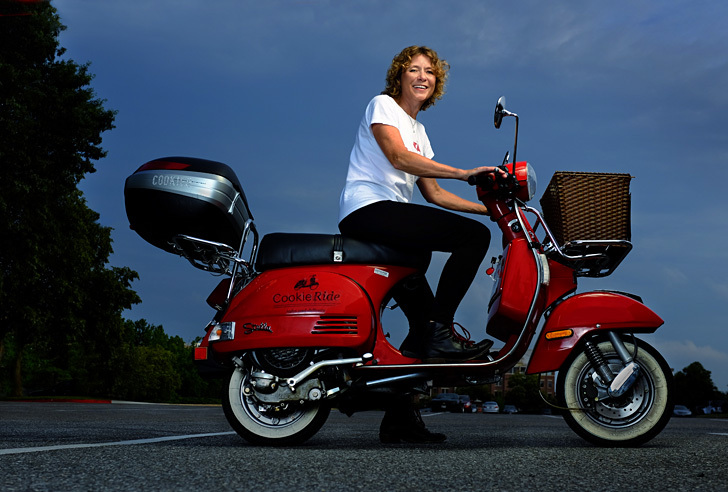 Her mobile showroom is a Stella, a 125cc four-stroke "modern-vintage" scooter. The trunk is loaded with fresh-baked cookies, which are very large and sell for $2 each. "In addition to the curbside sales I do deliveries," Dyson said. "So I get a lot of out of town people calling. Like for Father's Day I had a delivery to Vantage House from a daughter who lives in California." She will deliver cookies via scooter to anybody local. For places a little further away, like Baltimore, she'll drive. Dyson does curbside sales, deliveries, caters cookie parties, birthday parties, mom's night out parties and the like. She's even done an open bar (for cookies) at an office. "They called it a cookie break," she said. "The parties are a little more organized. They bring games, like cookie- and scooter-related games." She also does cookie-themed parties where the kids decorate their own cookies, referring to herself as a one-stop shop. She tweets her daily locations via twitter, where you can follow her at @CookieRide. You can get more information at her website, CookieRide.com. In this day of digital everything and social media, Dyson also offers a decidedly analog method of ordering. "Watch for the scooter in the Columbia area and simply honk if you're hungry," she says. 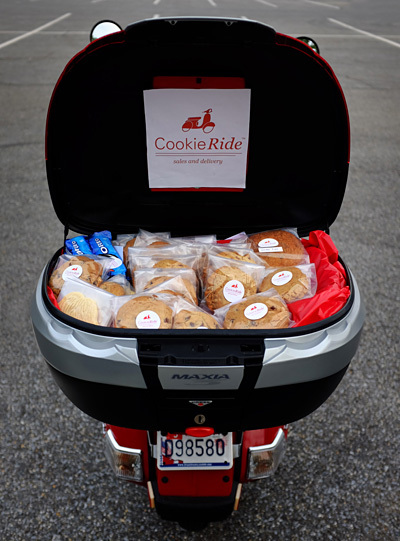 "CookieRide can pull into the closest parking lot to satisfy your sweet tooth instantly." 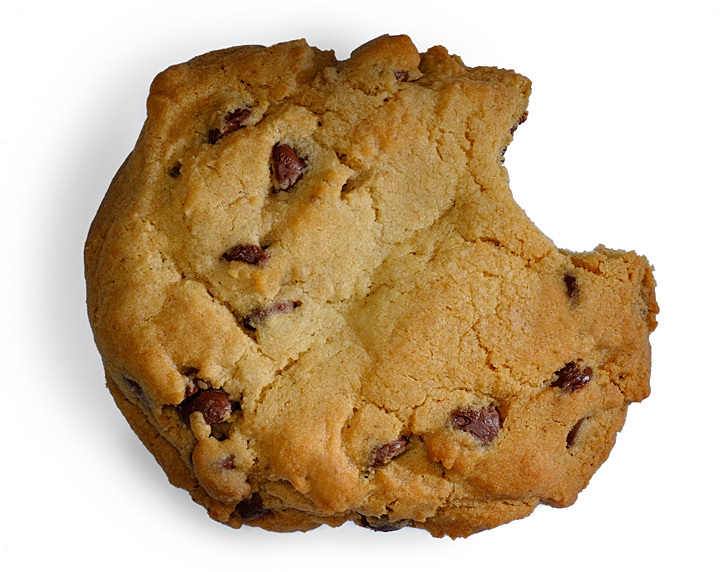 For the record, her most popular (and thus, best stocked) flavor is her chocolate chip cookies. But she sells many other varieties, including gluten-free offerings. For those with peanut allergies she includes a few packs of factory-sealed Oreo cookies so they won't go away empty-handed.